Samsung's Unpacked event is almost upon us and we're not just excited about the new Galaxy S10 line. The Korean company is also expected to unveil new wearables. Behind the scenes, Google is also working on a smartwatch made in Mountain View. Huawei, Fitbit, Xiaomi or Apple are also preparing many surprises in the field. Add to that very good sales forecasts for 2019 and you will understand why the year of the wearable is upon us and why you may just find yourself jumping on the bandwagon too. When the first smartwatches under Android Wear and Tizen were launched, the market was not fully ready yet and the success of these products was quite discreet.The arrival of Apple wearables on the market in 2015 has given the sector a boost but also a spotlight. However, the Apple Watch was not exactly a milestone in the history of wearables. The Cupertino company's watch simply contributed to the development of smartwatches and their popularization among the general public, but it did not revolutionize the sector as the first iPhone did back in the day. Over time, however, audiences have become more diverse. Fitness trackers and other connected bracelets have succeeded in enticing the public, and products such as FitBit or Garmin have won over many users. 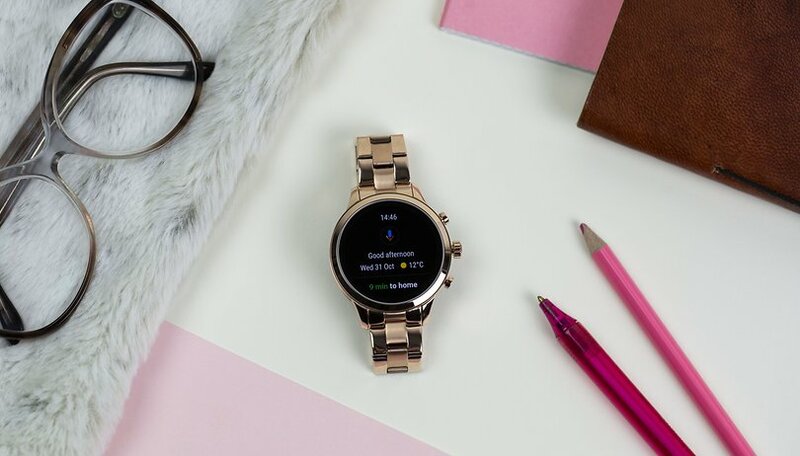 With intelligent coaching or advanced geolocation features, the popularity of these connected watches is also growing rapidly. Faced with a smartphone market that is suffering in general, smartwatches and other wearable watches were among the most popular Christmas gifts.The latest report published by NPD analysts is indeed more than encouraging for the wearable world, with total sales of nearly $5 billion last year in the United States, an increase of 51%. Smartwatch sales increased by 61% in the United States in one year (between November 2017 and November 2018). This is enough to feel confident in the market in 2019. The other factor to be taken into account concerns ecosystems and the diversity of products now available on the market. We don't simply choose a smartwatch or a fitness tracker, but a whole ecosystem of services that connects all our devices, including our smartphone, our tablet or our home. On this point, the progress made by manufacturers is significant. Wear OS has undergone a nice evolution since its launch, and if the system is not yet perfect, it should be helped by the next Pixel Watch. Tizen should also be the subject of new functionalities with the arrival of Galaxy Watch Active, Galaxy Fit and Fit e. As for the applications of the various fitness trackers, they are constantly improving to provide more features and services. Prices have also become more affordable, and there is now a wide range of devices to suit more or less any budget. Xiaomi or Honor, for example, contributed to trend of price cuts. Another reason behind the wearable craze is the advancement of technology and the innovations that are coming. Watches and bracelets are increasingly autonomous from the smartphone and now offer much more attractive designs compared to a few years ago. The batteries have also made a leap forward with better autonomy that allows you to not reach for the charger very often. Better still, the connected health market is booming and wearables in this field are multiplying. The last CES 2019 was proof of this: Apple opened the door with its Apple Watch Series 4 and its ability to register an electrocardiogram and other brands followed suit, like the French brand Withings and its Move ECG. It is thus becoming increasingly easy for manufacturers to offer truly innovative wearables that change users' habits. So where is the world of wearables going? I suspect that the latter will follow a similar trajectory to that of the smart home market. Forecasts for the sector are also optimistic, with a market estimated at more than $54 billion in 2022, according to a study by Zion Market Research. Two markets that are linked. This is reflected in the United States, where 15% of smartwatch owners now report using their devices to control smart home devices. In the absence of a real revolution, however, wearables are becoming more and more essential and 2019 will reveal it. In the smartwatch market, Apple will continue to target more affluent buyers, but it will have to share the it with Samsung and perhaps also with Huawei, Xiaomi or Google. Sales of smartwatches will continue to rise, while fitness trackers and other connected bracelets will continue to dominate the mass market. Do you already have a wearable? Are you going to buy one in 2019? Let us know in the comments. I've worn a watch, since I was a teen in the early 70's. (even had one of those LED watches...wish I still had it, considering the prices of them on ebay!). I resisted the smartwatch thingy until last fall when the Samsung Gear S3 dropped the price, prior to the new one coming out. After the first week, I finally got the attraction of the smart watch. Not having to pull my phone out of my belt clip case 3,495 times a day is really convenient, not to mention having the payment option, walking, sleep, heart rate. Plus I get between 2-3 days on a charge. I wear a watch all the time. Had MS Band Fitbit, Apple Watches and now Huawei Watch 2. Am interested in a watch with ECG running WearOS.